Hide this Project (Neo City) Discover properties in other projects by hiding the ones that doesn't interest you. You won't see them in your searches further but you can unhide anytime later. Hide this Dealer (Parag Rudrawar) Discover properties by other dealers by hiding those whom you have already spoken to. You won't see them in your searches further but you can unhide anytime later. Hide this Dealer (Harish Mansh) Discover properties by other dealers by hiding those whom you have already spoken to. You won't see them in your searches further but you can unhide anytime later. Hide this Dealer (Riya Sadavarte) Discover properties by other dealers by hiding those whom you have already spoken to. You won't see them in your searches further but you can unhide anytime later. Hide this Dealer (Vishal Bhosale) Discover properties by other dealers by hiding those whom you have already spoken to. You won't see them in your searches further but you can unhide anytime later. Hide this Dealer (Amruta Raste) Discover properties by other dealers by hiding those whom you have already spoken to. You won't see them in your searches further but you can unhide anytime later. Hide this Dealer (Vijay Bhosale) Discover properties by other dealers by hiding those whom you have already spoken to. You won't see them in your searches further but you can unhide anytime later. Hide this Dealer (Balraj) Discover properties by other dealers by hiding those whom you have already spoken to. You won't see them in your searches further but you can unhide anytime later. Hide this Dealer (Parvinder Singh Rana) Discover properties by other dealers by hiding those whom you have already spoken to. You won't see them in your searches further but you can unhide anytime later. Hide this Dealer (Chris) Discover properties by other dealers by hiding those whom you have already spoken to. You won't see them in your searches further but you can unhide anytime later. Hide this Dealer (Utsarg) Discover properties by other dealers by hiding those whom you have already spoken to. You won't see them in your searches further but you can unhide anytime later. Hide this Dealer (Rani) Discover properties by other dealers by hiding those whom you have already spoken to. You won't see them in your searches further but you can unhide anytime later. Hide this Dealer (Preity Savant) Discover properties by other dealers by hiding those whom you have already spoken to. You won't see them in your searches further but you can unhide anytime later. Hide this Dealer (Deepak Ahirrao) Discover properties by other dealers by hiding those whom you have already spoken to. You won't see them in your searches further but you can unhide anytime later. Hide this Dealer (Ravi Prasad) Discover properties by other dealers by hiding those whom you have already spoken to. You won't see them in your searches further but you can unhide anytime later. Hide this Dealer (7 Star Properties)Discover properties by other dealers by hiding those whom you have already spoken to. You won't see them in your searches further but you can unhide anytime later. Hide this Dealer (Gemini. Wagholi)Discover properties by other dealers by hiding those whom you have already spoken to. You won't see them in your searches further but you can unhide anytime later. Hide this Dealer (Urban Homes)Discover properties by other dealers by hiding those whom you have already spoken to. You won't see them in your searches further but you can unhide anytime later. Neo City in Wagholi, Pune by Pristine Propertie and Jalan Group and Maple Group is a residential project. 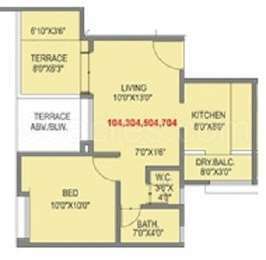 The size of the Apartment ranges in between 397.0 sq.ft. 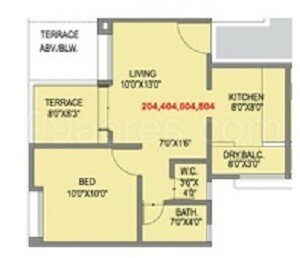 and 951.0 sq.ft. Neo City price ranges from 22.00 Lacs to 55.00 Lacs. Neo City offers facilities such as Gymnasium and Lift. It also has amenities like Basketball court, Jogging track and Lawn tennis court. Bank loan approved from HDFC home loans, ICICI, AXIS Bank LTD. and LIC Housing Finance Ltd. It is a ready to move and under construct project with possession in May, 2016 with few units already sold out. The project is spread over a total area of 2.03 acres of land. Neo City has a total of 2 towers. The construction is of 11 floors. An accommodation of 150 units has been provided. Neo City brochure is also available for easy reference. What is the location of Neo City?The location of the project is Wagholi, Pune. What apartment sizes are available in Neo City? The project offers apartments sized between 397.0 sqft and 951.0 sqft. How much is area of 1bhk in Neo City? 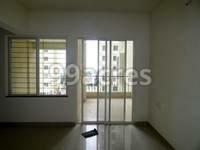 The area of 1BHK units in the project is 397.0 sqft. What is size of 2 bhk in Neo City? The area of 2 BHK apartments ranges from 488.0 sqft to 590.0 sqft. What is the area of Neo City?The total area that the project occupies is 2.03 Acres. How much is price of 1bhk in Neo City? The project offers 1 BHK units within Rs. 2200000 to Rs. 3000000. 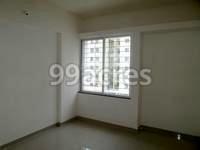 Hi, I am searching for a 2bhk unit in Wagholi, Pune area. Can I get to know about some options available here ? How about Jalan Group & Maple Group ? HI ARE YOU LOOKING FOR OUTRIGHT OR ON LEASE ? mail me details on @.